'There's very little in the way of controls over exercising a nuclear option, which is pretty damn scary." In Trump’s remarks, delivered without a teleprompter, the president threatened to shut down the government over funding for the border wall he promised, opined that North American Free Trade Agreement will likely be terminated and hinted he might pardon former Arizona sheriff Joe Arpaio, convicted last month of criminal contempt. Clapper said watching Trump’s speech, he worried about the president’s access to nuclear codes. Former Director of National Intelligence James Clapper says Trump’s Phoenix speech was the most disturbing performance he has ever watched. Clapper has become a regular critic of Trump, who routinely disparaged the intelligence agencies during his campaign. But such a statement about a president by a lifelong military and intelligence professional – who has served at the highest levels of government under Republicans and Democrats alike – is extraordinary and perhaps unprecedented. 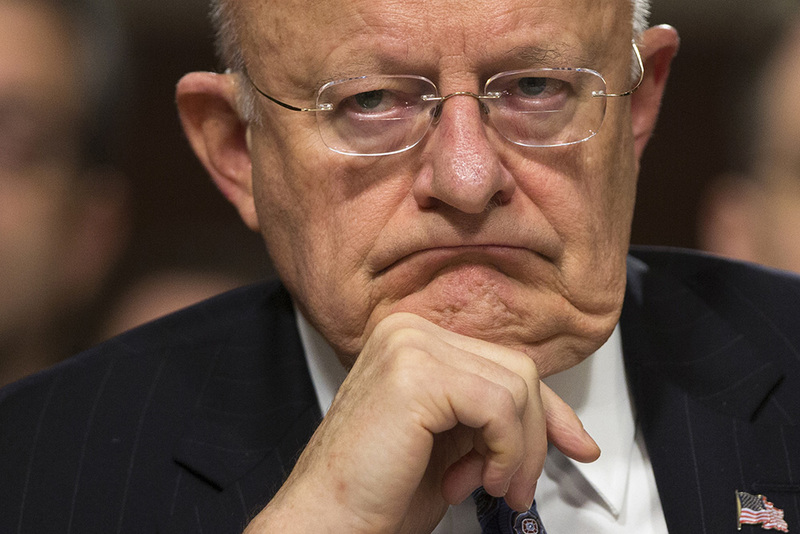 Clapper, who said he has “toiled in one capacity or another” for every president from John F. Kennedy through Barack Obama, said Trump’s Phoenix speech is the most disturbing performance he has ever watched. Clapper said the president should “have quit while he was ahead” after his speech on U.S. military strategy in Afghanistan. In that speech, the president read from a teleprompter. In May, after Trump fired former FBI Director James Comey, Clapper said the country’s core institutions were under assault from Trump. The issue of Trump’s fitness for the presidency has, until recently, mostly been raised by academics and partisan Democrats such as Hillary Clinton and House Minority Leader Nancy Pelosi, D-Calif. Following the president’s erratic responses to the deadly unrest in Charlottesville, the criticism came from his own side of the aisle, with Sen. Bob Corker, R-Tenn., questioning whether Trump has the “stability” and “competence” that are necessary to lead the country.